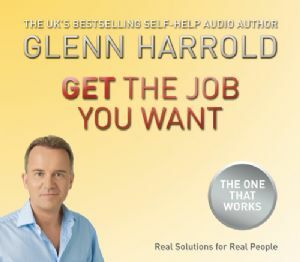 This third title in this series is GET THE JOB YOU WANT which includes 1 CD and a 4 page booklet. This booklet will tell you how to focus on what kind of career you want to attract into your life and the powerful hypnotherapy CD will then help you achieve that success. When you put on your headphones and listen to the high quality audio hypnotherapy session, you will hear Glenn's pleasant voice and absorbing sound effects, which will guide you into a deeply relaxed state. When you reach a deep state of mental and physical relaxation you will be ready to use an ancient universal law that will help you focus and attract the career you want into your life. In this very receptive state you will also be given a number of post hypnotic suggestions and carefully layered affirmations to help you attract the career for you. The subtle background sound effects that you will hear are recorded in certain musical keys and frequencies to enhance certain states and help with the absorbing of suggestions.